Candidates must meet the following admission requirements in order to be considered for the Full-Time DPT program or the Flex DPT program. Bachelor’s Degree: Qualified candidates must have a bachelor’s degree from an accredited institution. You can apply while you are still enrolled in an undergraduate degree program or while you are completing prerequisite coursework. You should submit a plan of study with your application that indicates all remaining courses that will be completed prior to program enrollment. GRE: An official GRE score report sent directly to the University from ETS is required. The test must have been taken within the last five (5) years. A combined minimum GRE score of 294 for the verbal and quantitative sections is recommended. The analytical writing score is also evaluated. Candidates who have previously earned a Master’s degree are exempt from the GRE requirement. When applying for our DPT programs, use PTCAS. The University’s GRE Institutional Code Number is 2209. Resume: Include a current resume or curriculum vitae with your application. 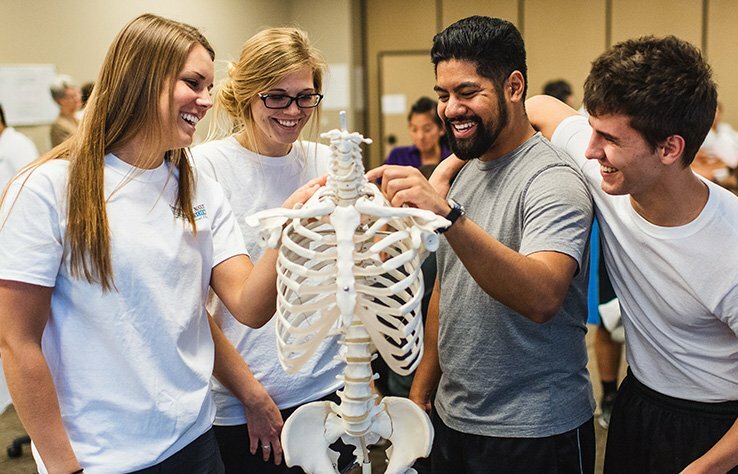 Statement of Purpose: Include a short statement of why you wish to pursue physical therapy as a career and why you chose the University of St. Augustine for Health Sciences for that pursuit. Prerequisites: Admissions recommends that all prerequisite course work be no more than 5 years old. This is a recommendation and is preferred, it is not a requirement to apply. All prerequisite courses must be completed with a grade of “C” or better. A total of two (2) references from the following: Two licensed physical therapists (preferred) or one physical therapist and one faculty member or academic advisor. A minimum of 80 volunteer or observation experience hours (volunteer hours, work hours, observation hours, etc.) in a physical therapy setting is required.